I am particularly pleased to be given the opportunity to review this book as I am a huge fan of Jean Vanier, who I believe is one of the greatest Christians of our age, and in fact of any age. This is the work of a man who has just turned 90 and his legacy is enormous. It is amazing to see a man who has experienced so much, first as a young man seeing the terrible effects of the Nazi invasion of France and wanting to stand up and be counted. As a teenager he joined the Royal Navy to counter that evil and witnessed the horrors of the concentration camps. It is uniquely special then to have the faith in Christ to see that the answer to evil and the forces of division is to follow the example of Christ himself and offer hope and succour to people in adversity, as he has done. The Navy became a second family to him and the move toward the Church was challenging. What we constantly see when we encounter the work of Jean Vanier is his deep Christian faith and how that has influenced his humanitarian work. There is a lot in the book about Vanier’s relationship with key figures in the Catholic Church such as Pope John Paul II, Mother Teresa and the great social reforming teacher Dorothy Day, all of which have had an obvious and profound influence on him. In fact the book is more a set of pithy vignettes than and over-arching narrative. Some will see this as a weakness, however I believe the best spirituality books are the ones you can pick up when the moment takes you and transport you into a world of devotion to God and away from the distractions of the normal world. By this I don’t mean an escape from this world, which never arises in Jean Vanier’s writing. The world of humans for him is tough, and far from perfect, but in his vision it is our responsibility to get involved and try and make it good for everyone. Some people have commented that Vanier’s writing seems naïve, and I agree –it’s naïve in the way that Haydn’s music is naïve; in the best way naivety is full of grace. In the world today we need a bit of that and less cynicism. 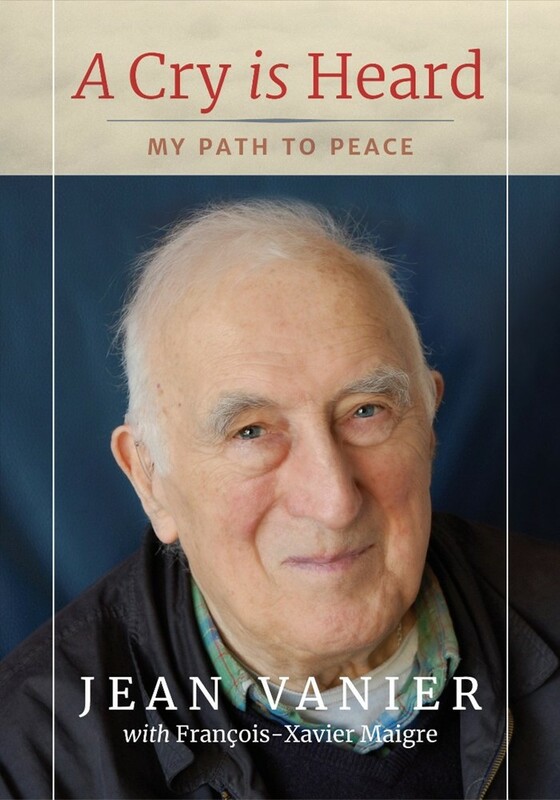 As the publisher says this is the nearest Jean Vanier has come to a spiritual autobiography, but really it isn’t truly that, as Vanier is all about Christ and not himself. A Cry Is Heard highlights Vanier’s enormous humane instincts as well as his great intellect, to which his PHD thesis on the place of virtue in Arstotle’s ethics can testify. The book makes you want to read more widely on virtue ethics as they permeate the text of the book. However he does does not dwell on them in any clever way, but in a natural and down-to-earth manner as an exploration of peace. He shows that God wants us to use our mental faculties to their fullest extent but he doesn’t ever do this from an ivory tower, as we get with many professional theologians, but in a pastoral and humble way. Characteristically for such a humble man he doesn’t dwell as much as I would have expected on the L’arche communities, an international organisation, founded by Varnier, dedicated to the creation and growth of homes, programs, and support networks for those with intellectual disabilities. Most people would argue that this is the greatest achievement of his life. The communities are a physical embodiment of works of faith, without any binary approach. To Vanier spirituality is God beyond words, but he is always grounded in Scripture, which is at the heart of his creed. A lot of commentators forget he is an expert on St John’s Gospel and the Bible generally. He has learned that there is no genuine spirituality without Scripture and no Scripture that is without the Spirit. I have to say that this is a great little book that I would recommend Christians from all church traditions would enjoy reading. Its only major weakness is that it’s too short; I can’t remember the last time I thought that when reading a book. Alan Mordue, Sales Director of SPCK and also as member of the Society of Bible Literature. Previously Alan worked as theological buyer and Deputy Manager of Durham University Bookshop, and managed Durham Cathedral Bookshop. 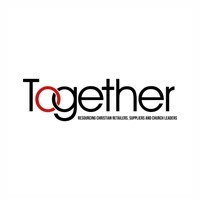 Prior to joining SPCK he was Sales and Marketing Director at DLT.